Home / Latest News / How to achieve high containment for HPAPI production? how you can achieve high containment for HPAPI production? Presenting at the HPAPI World Congress 2016 in Basel, Switzerland. Over 25% of the total drugs produced worldwide are being classified as highly potent. Learn how to safely handle highly-potent APIs. 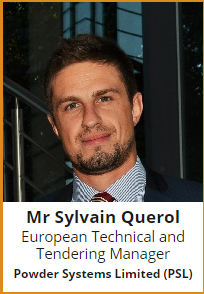 Don’t miss your chance to meet with Sylvain during the congress and hear his presentation at 14:40, Day 1. Posted on Friday, October 28th, 2016 at 10:30 am in Latest News, Technology updates.